This gives her a dreamy and soulful musical sound drenched in sparkling memorable melodies. The prolific songwriter hailing from San Francisco, CA, continues to stretch the boundaries of any genre walls with her releases. Garibaldi has won an impressive 50 awards for her hit music video “Delightful,” standout song off her EP release Rooted Clarity, and currently her videos “Unhappy Holiday” and “Star in the East” (a claymation take on the biblical Magi traveling to visit Jesus after his birth) are screening at film festivals internationally. An endorsed artist of Breedlove Guitars and a creative who has continued to release a consistent stream of original new content fueled by positive messages, the ever-evolving Katie Garibaldi has proven to be an artist with staying power. Katie Garibaldi: I started performing and recording when I was in high school, so I’ve been doing it for roughly 18 years. But I started songwriting before that, around 11 years old. I fell in love with writing songs and it was really natural for me once I picked up the guitar. Performing outside of my bedroom and recording the songs, took a little more time for me to work up the nerve to do. But once I did, I was spellbound by all aspects of music and being an artist. Katie Garibaldi: One keyword would be Rootsy because the organic resonance of an acoustic guitar is so key to my sound. I also love incorporating other stringed instruments in my recordings. 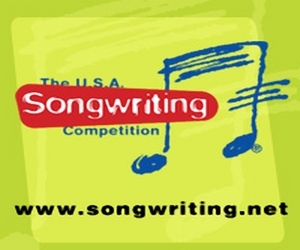 And I have a storytelling style to my songwriting, which is reflective of country and folk roots. Another keyword is Soulful since I tend to sing behind the beat to drive the soulfulness of the song, sometimes stepping into gospel territory (especially for my more spiritual-themed songs). If any, who were your first musical influences, and which current artists do you listen to or respect for their artistic endeavors? Katie Garibaldi: I listened to a lot of old-school pop and rock when I was young because that’s what my parents had on in the house, artists like the Beatles, the Beach Boys, and Elvis. Before I learned the guitar, I loved listening to country singers and also pop singers like Mariah Carey. When I learned guitar, I discovered Jewel and also learned a lot of traditional folk songs. I think those influences blended into my taste of soulful syncopation, love of ballads, and honesty in storytelling through the art of the song. A current artist I’m listening to a lot right now is Christian artist Lauren Daigle. I love how she breaks genre boundaries. Katie Garibaldi: My parents bought me my first guitar when I was a kid, so maybe my first purchase was a guitar capo. I remember I brought a Jewel song in to my guitar teacher (which I often did for him to teach me in the place of the lesson’s homework I was supposed to do!) and I was so frustrated because I told him, “I know Jewel is playing these chord shapes but it doesn’t sound right when I do it. I found the shapes but the guitar must be tuned differently.” He told me the chord shapes were indeed correct, but it wasn’t the tuning; she was using a capo. Everything changed for me as a songwriter at that point. Long live the capo! For more equipment based gear, my biggest first purchase that made a difference for my sound was the Fishman Artist Loudbox, which I love and still use. Currently, I would actually really like to learn how to use a simple recording setup to make rough demos, such as GarageBand. I normally just record my solo performance of a song on a voice recorder to send to studio musicians, writing out what I want. But I would love to be able to learn a software program to actually have something tangible to show musicians to better help me communicate my sonic vision. Katie Garibaldi: I generally spend a good amount of time doing pre-production before I even go into the studio. That way, I know the vision for each song—what instruments I want on it, what sounds on other records reflect what I want, what the overall goal is for the vibe. I have recorded in several different studios in both the San Francisco Bay Area (where I’m based) and in Nashville (where I visit a lot). I definitely let the engineer do his or her job for the technical side of things, but I have grown to love producing more and more. Katie Garibaldi: If you had asked me this any time before a couple years ago, I wouldn’t hesitate and I’d say live audience, hands down. Now, I’ve become less intimidated by the studio setting and actually quite enjoy it. My confidence has come from experience and I’ve learned that the tribe you have in the studio creates the vibe, which will directly affect the product you produce. So I’m more careful about who I invite into that personal space now. Performing with a live audience is incomparable, but when the formula is right in the studio, it can be an equally transcending experience. Which one of your latest original songs gets your emotion and adrenalin pumping the most? Does it have a back story? 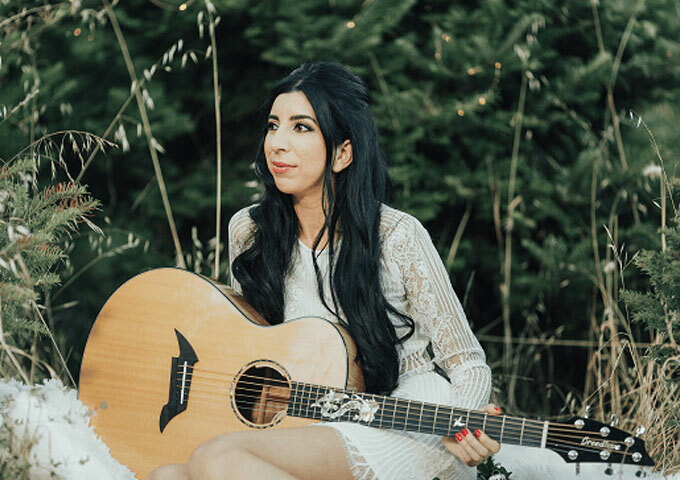 Katie Garibaldi: The first song that comes to mind is my song “Wonderful Mother Mary,” which is off my latest album Home Sweet Christmas and I just released a music video for. The back story is I actually had a dream where the Virgin Mary appeared with her hands raised up in praise. It affected me so much because I felt like she was reminding me of my ability to have faith. The song came to me shortly after that dream. “Wonderful Mother Mary” is about her journey of faith and the importance to keep on keeping on, no matter what. At my album release show, I cried in the middle of singing it because I was overwhelmed with emotion. It’s still a difficult one to sing live without getting emotional. I hope people can be inspired by the message because I know it’s important. Katie Garibaldi: Nothing is ever perfect, yet everything is perfect. Meaning, everything is the way it is meant to turn out because a song is a snapshot of that particular moment and what I was going through, so how can it ever be wrong? And how can it ever be perfect? A song is like a moment in life to me, so there are things you look back on in your life and start to think, ‘That wasn’t the best. I wish I did that differently.’ But then upon reflection you might think, ‘No that made me who I am, so I’m actually proud of that and wouldn’t change it for the world.’ I would say one of my most recent songs I’m particularly proud of for both the emotional and technical performance is “Safe and Warm (Lullaby for Jesus).” For as long as I can remember I wanted to write and record a true gospel-drenched song with a choir. I knew this was the song to record in that style, but it’s also very true to my roots production wise. Sometimes it’s hard for me to capture the emotion of a song on “tape,” but I really think “Safe and Warm” was successful in doing that. Katie Garibaldi: I play by no rules when it comes to songwriting. A song can come about in any old way. However, I used to be much more prone to playing guitar first and coming up with chords and the music part first and then letting the music dictate the lyrics, which I still do a lot. But for my last album, Home Sweet Christmas, I often came up with the lyrics and melody first and then would have to find the chords on the guitar to match what was in my head. Either way, I try not to force the creation and let it come when I’m inspired. The key is to jump on that inspiration when it hits. If I wait, it will be too late and the idea will be gone. So that means pulling over in the car, running out of the shower, and telling someone to “hold on” in the middle of a conversation so I can go record something on my phone so I won’t forget (all things which I have done!). What were your main compositional, performance and production challenges in the beginning of your career and how have they changed or evolved over time? Katie Garibaldi: Compositionally, when I was a young kid my songs tended to be very long, like between 5 and 8 minutes sometimes. Over time, they’ve gotten more compact and easier for the listener to digest. But I have the occasional 5-minute song still and it doesn’t bother me. Performance and production wise, I’d say the biggest challenge for me at the beginning of my career was feeling comfortable in a studio setting in order to perform at my best and produce a high quality recording. I’ve definitely evolved since my first few albums, but still feel like I’m finding my voice in the studio production wise, which I think comes from experience. 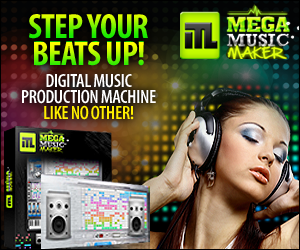 What are some of the most important tools or elements you use in creating your distinctive sound? Katie Garibaldi: The guitar I’m playing now is a custom-made Breedlove guitar. I was able to tell the company what I wanted in terms of specs, like the types of wood, the neck measurement, and the pickup. I’ve had my custom for over four years now and I think it’s really become a signature tool for my sound. My capo is also my best friend because I like playing high and singing low, or playing low and singing high. It adds a cool balance to my guitar-vocal performance. I use and love the G7th Capos. Katie Garibaldi: Video has become really important to my artistry ever since I released my music video “Delightful,” which I filmed in Nashville. The director was able to tell a completely new story to the song using visuals, but still reflected the spirit of what the song was about. It opened my eyes to the creative freedom music videos can give you and how they add fresh life to a song. 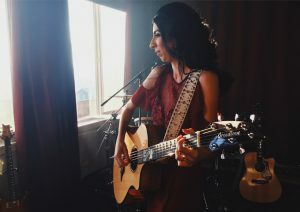 I’ve since gotten really involved with the film side of creation and was able to add production ideas to my video “Safe and Warm (Lullaby for Jesus).” Both videos are available to watch on my YouTube page at youtube.com/katiegaribaldi. What’s your view on the role and function of music as political, social and/or spiritual vehicles – and do you try and include any of these thematics in your work, or are you purely interested in music as an expression of artistry and entertainment? Katie Garibaldi: Music is an extremely powerful tool for self-expression so I think it’s important for an artist to be true to their authentic subjects of interest that they want to covey through music. For me personally, my music tends to have a lot of spiritual undertones or even more obviously spiritual sometimes. I never really intend for a song to be about something when I get inspired to write, but I follow the muse where it takes me. If I end up speaking about God in the song then I just let it flow and try to allow the message to come through. I believe there’s always a spiritual element to my songwriting because I let the creativity come from somewhere beyond the walls of just little old me. With more and more musicians creating and releasing music on their own, what are your feelings on how the music business works right now with all the digital platforms and streaming services? Do you have particular ‘likes’ and ‘don’t likes’ on the subject? Katie Garibaldi: I think it’s a great time to be an artist because you can indeed create and release your own music on your own terms. It’s a wonderful time to be a creative. Having said that, the value of music is not so great. In other words, the general public is not seeing the worth in paying a fair price for music. They are not paying the artist and songwriter their dues for giving them a life with music in it, and part of that is because streaming is so relevant today and the royalties are not appropriate for a songwriter to make a return on their investment to make the music. What would you consider a successful, proud or high point in your endeavors so far? 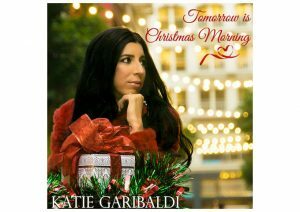 Katie Garibaldi: I have loved Christmas music ever since I was a young kid, and I always wanted to release my own Christmas album. It was a dream of mine, but I didn’t want to just record a bunch of classics, I wanted it to be my own stamp on my favorite holiday. I finally received the inspiration to write my own Christmas songs and that’s what my album Home Sweet Christmas is. The album has 11 original songs and I also did my take of “Silent Night.” I’m really proud of that album because I feel almost like it was a lifetime in the making and now it’s finally something I can hold and share. 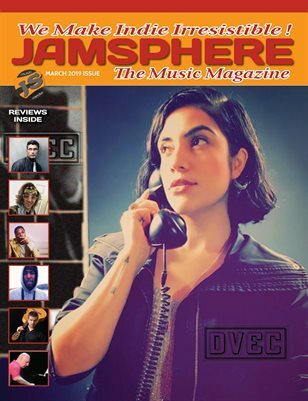 Katie Garibaldi: Yes, I think the Internet and social media are definitely fundamental to today’s independent artist’s career. You have to be findable online, or else people will not know what’s going on with you. And videos are an essential piece of the puzzle that make up an artist’s online presence. It can be overwhelming to keep up with everything, but I think the important thing to keep in mind is to just be authentic to what’s right for you. If you’re not careful, you can get sucked into the comparison game and become more interested in what other people are doing as opposed to what your path is. My personal relationship with it all has been a love-hate deal for a while. But recently I have become more conscious of my time spent on social media and have limited it a great deal, sticking to what I want to share and not allowing it steal too much of my time other than the task at hand. Katie Garibaldi: The best piece of advice probably sounds cliché, but that’s because it’s true: be true to yourself. I have always honored that advice and I think it’s really helped me accomplish a lot in my career. As far as advice I didn’t follow, I suppose the importance of releasing singles is probably something I ignored for a while because I’m such an ‘album girl.’ I like the package deal of the album’s journey. But in today’s world of streaming and short attention spans, I do see the value of releasing singles to lead up to an album release. It’s a process that gains momentum for your project and captures more people’s awareness for your new music. Katie Garibaldi: There are so many great opportunities for indie artists today regarding press and radio, especially due to the power of social media and being able to reach out to people like publicists and bloggers for media coverage. There are plenty of potential circumstances where an indie artist’s song can be placed right next to a major label artist’s song on Spotify, or an indie album review printed right next to a commercial artist’s album review, or a lesser known music video screened at a film festival right before a big artist’s video. The door is wide open for possibilities to be seen and heard. I would like to see more PR companies cater specifically to an individual artist’s needs instead of lumping them in with other clients because each project is different and should be promoted differently in turn. Do you have a specific musical vision hidden somewhere in your closet, or in your mind, that you’d like to see realized some time in the future? Katie Garibaldi: Oh yes, so many. I would like to do a full album with only string instruments. I want to do a full-length original gospel-roots album. I’d also like to experiment with sounds outside of my comfort zone to create a sonic landscape that is unlike anything I’ve done before. Katie Garibaldi: Home Sweet Christmas is my latest album release, and that’s my original holiday and faith-inspired album. That’s available everywhere online and on my website katiegaribaldi.com. I express a lot of spirituality on this album and I think even though a lot of the songs are based around Christmas, it’s an album that can be enjoyed throughout the year. Also, my new music videos are “Safe and Warm (Lullaby for Jesus)” and “Wonderful Mother Mary,” which can be watched at youtube.com/katiegaribaldi. Love Stallion: ‘Unforgettable Ride’ – a thunderous wall of sound! Alright! Just awesome! Loved the video. Great interview.